Because of our modern and advanced cleaning equipment, we accomplish perfectly cleaned carpets every time. Magic Carpet Cleaning is fully certified company. We are one of best in the business. We have an experienced staff that is fully trained, insured and certified to provide you with excellent professional service. We use eco-friendly cleaning products in upholstery cleaning, rug cleaning and stain removal and the latest machines and equipment available today to give our customers ultimate satisfaction. For you carpets, rugs or upholstery cleaning by dry carpet cleaning or steam cleaning methods call us, not matter how big or small the job. 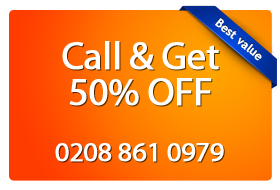 If you are not satisfied after completion we will return and re-clean for free at your Kensal Green (NW10) property. Get in touch with us on 0208 861 0979 or simply fill the form below to book a service in Kensal Green NW10. We keep our customer support line open 24 hours a day for your convenience. Our assistants are`ready to help you with every qestion you have. Don’t wait to call us.